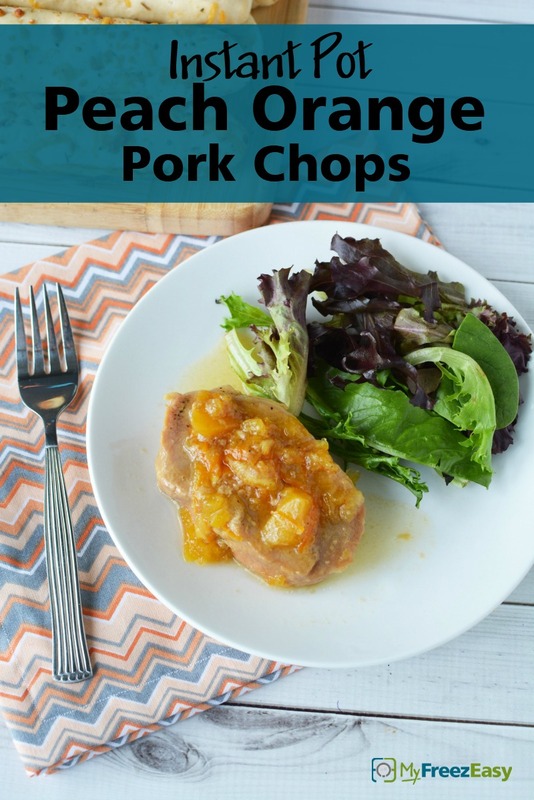 So much flavor in these pork chops! Place the pork chops into the electric pressure cooker insert with the hot water. Season with salt and pepper. In a small mixing bowl, combine the 1/2 cup peach preserves, 1/2 cup orange marmalade, 4 Tbsp Dijon mustard and 2 tsp soy sauce. Place directly on top of the pork chops. Set the slow cooker on low and cook for 4 hours. 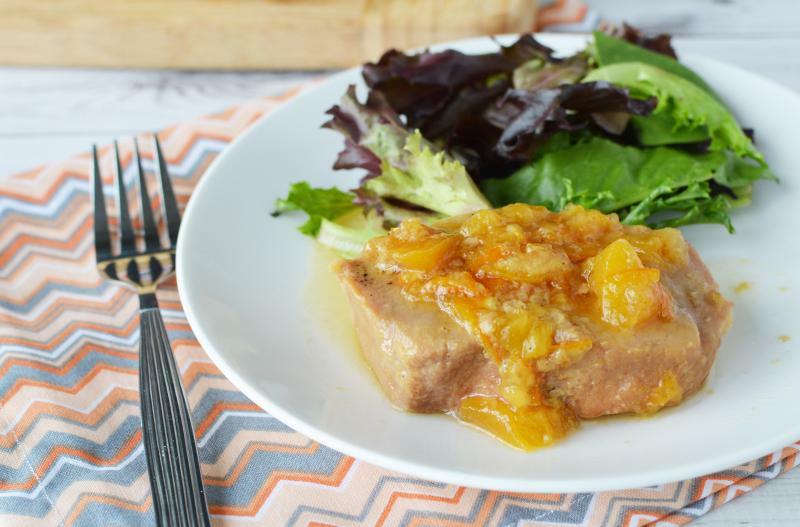 Serve Instant Pot Peach Orange Pork Chops with dinner rolls and salad. In a small mixing bowl, combine the 1/2 cup peach preserves, 1/2 cup orange marmalade, 4 Tbsp Dijon mustard and 2 tsp soy sauce. Recipe is gluten-free when made with gluten-free soy sauce and served with gluten-free sides.